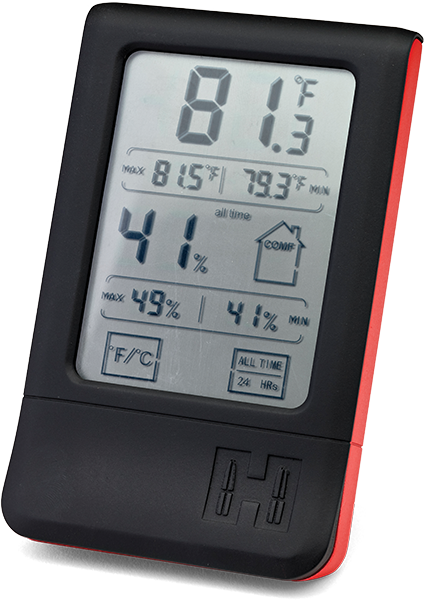 Indoor thermometer and humidity sensor for safes and vault rooms. Displays high/low for both temperature and humidity in either Fahrenheit or Celsius. Install the quick-connect bracket on interior door or wall to save shelf space and allow easy viewing and retrieval. Includes fold-out stand for convenient storage on shelf or floor of safe. 5 1/8" x 3 1/4" x 1"